When General Washington died, Mount Vernon, according to the terms of his will, remained the home of his widow. At her death it reverted to his younger brother's son, Bushrod .Wash­ington. The latter held it until his death in 1829, when it became the property of his son, John Augustine Washington. The later, owners of the estate were much less successful in their management than the first President. In his lifetime it brought "in handsome financial returns, but fifty years after his death it was sink­ing into decay. John Augustine Wash­ington kept but little of the land in cul­tivation, and did not attempt to main­tain the property in the style of his fa­mous great-uncle. Mr. Washington's financial troubles finally compelled him to offer Mount Vernon for sale. He tried, on several occasions, to persuade Congress to pur­chase the estate—which should unques­tionably have been done; but with an astonishing indifference the proposal was repeatedly dropped from the legislative calendar and at last abandoned alto­gether. Mr. Washington then turned to the State of Virginia, but again his sug­gestion was declined. In the meantime, each passing year added to the deterioration of the estate. Private corporations and scheming indi­viduals were eager to take advantage of the unfortunate state of the case. Mr. Washington was frequently importuned to sell Mount Vernon for a pleasure re­sort. One enterprising company, zealous in its efforts to secure the place, frankly avowed the intention of converting it into a "well-kept, orderly beer-garden!" 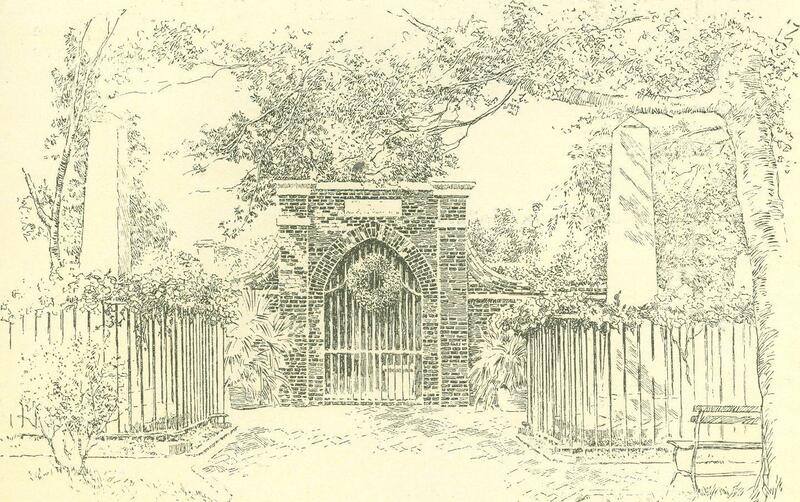 It was at this crisis, in 1853, that Miss Ann Pamela Cunningham, of South Carolina, visited Mount Vernon, and, horrified at the wreck and ruin existing there, determined to make an effort to save the beautiful and historic place. Mr. Washington had offered to sell the two hundred acres containing the manor-house, outbuildings, wharfage, garden, and certain farm lands for two hundred thousand dollars. Miss Cunningham's original intention was that the women of the Southern States should raise this sum and purchase the property. As she expressed it in the circulars which she sent out, in the grandiloquent language of the period, they should "become the vestals of that sacred shrine, there to keep alive the fires of patriotism." The task she had undertaken was a serious one. It must be remembered that fifty years ago popular opinion did not approve of the appearance of women in public matters. With a modesty that was quite natural at that time, though it seems almost an affectation in these days of feminine emancipation, Miss Cun­ningham assumed the title of "The Southern Matron." As "The Southern Matron" she published letters begging "the fair daughters of the South-land to engage in the holy cause" of collect­ing the requisite two hundred thousand dollars. For more than a year, to use her own words, she "kept appealing and faithfully hammering away"—with the discouraging result that only a few hun­dred dollars came in toward the desired object. It was then that the Northern press commenced to take an interest in the project, and to call upon "The Southern Matron " to make the enterprise a national one, to allow the women of all sections of the Union to have a part in rescuing the home of the father of their common country. To this her Southern loyalty would not allow her to consent until she became convinced that the undertaking would otherwise be a fail­ure. Assured of this, she yielded, but with a reservation—which was not gener­ally understood at the time—that when Mount Vernon was purchased it should be presented to the State of Virginia. Money began flowing into the treasury, but when Miss Cunningham's intention became known there was a revolt, and the project again came to a standstill. After some months of vexatious delay and misunderstanding, the matter was happily settled by a compromise proposed to Miss Cunningham by the late John McPherson Berrian, of Macon, Georgia. 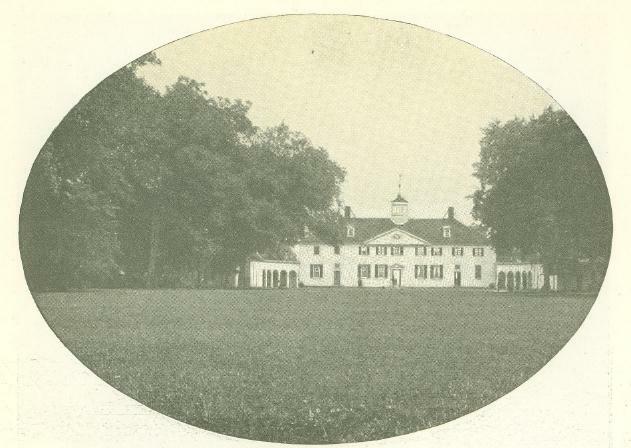 At his suggestion there was formed and duly incorporated the Mount Vernon Ladies' Association of the Union, in which each State was to be represented by a vice-regent; and this body, repre­sentative of all the women of the United States, was empowered to purchase and administer the Washington estate. From that time forward the work moved along smoothly, without any further sectional entanglements. Miss Cunningham came out from behind the veil of her nom de guerre, and in her own name, as first regent of the organization, appointed vice-regents in eleven States —as many as could be reached at that time. In order to secure the necessary funds, Mount Vernon societies were organized in both Northern and South­ern cities, and money came in from every part of the Union. Massachusetts, through her distinguished son, Edward Everett, made the largest contribution. Mr. Everett turned over to the associa­tion nearly seventy thousand dollars, the proceeds of lectures delivered and ar­ticles written on its behalf. New York stood second in the list of States, closely followed by Pennsylvania and Ohio, and even foreign countries were represented in the list of donors. By the close of the year 1858 the entire amount was raised. Mount Vernon had come into the possession of the women of the Union, and Miss Cunningham's dream of "the vestals who were to keep the fires of pa­triotism burning" was realized. Having purchased Mount Vernon, the association secured a charter from the State of Virginia whereby the former body bound itself to restore the estate as far as possible to the condition in which it was during the lifetime of Washington, and to keep it inalienably sacred to his memory. Virginia, in turn, agreed to exempt the property from taxation as long as these terms were fulfilled. At that time it was in a most deplor­able state of decay. The old mansion stood weather-beaten, empty, and deso­late, a shelter for owls and bats. Not a building on the place but was in dilapida­tion, not a foot of the grounds but needed care and cultivation. Yet none of these things disheartened the cour­ageous women who had enlisted in the great endeavor. They still solicited con­tributions, gave generously out of their own pockets, and as another means of support they chartered a little steamer which ran from Washington to the estate and established an admission fee to the grounds. On this meager income a superintendent was employed, several of the Washington family servants were retained, and in a small way the most urgently needed repairs were commenced. At this point there came across the annals of Mount Vernon, and across the history of America, the great shattering event of the Civil War. During those four years of bloodshed and sorrow, the old Washington homestead was almost forgotten by every one save the faithful members of the association. The regent, Miss Cunningham, could not cross the lines, and was obliged to remain in her South Carolina home. The secretary, Miss Tracy, with a heroism which could scarcely be appreciated at the time, went to the estate, stayed there during the entire conflict, managed its affairs, and protected it by her personal presence. Soon after the commencement of the war, the Federal government confiscated the little steamer which plied between Mount Vernon and the capital, thus cut­ting off what was practically the only source of revenue. Had it not been for the generosity of some of the vice-regents, and the secretary's care and economy, the estate must have been abandoned. Miss Tracy, who was a Northern woman, succeeded in securing a permanent passport through the lines stationed between the capital and Mount Vernon. Armed with this passport, dur­ing all those trying years, she drove alone into Alexandria, or Washington, to purchase the needed supplies for the plantation. Frequently the roads were so bad that it would be long after night­fall before she could get home, and more than once she was held as a spy and taken before a commanding officer to prove her identity. 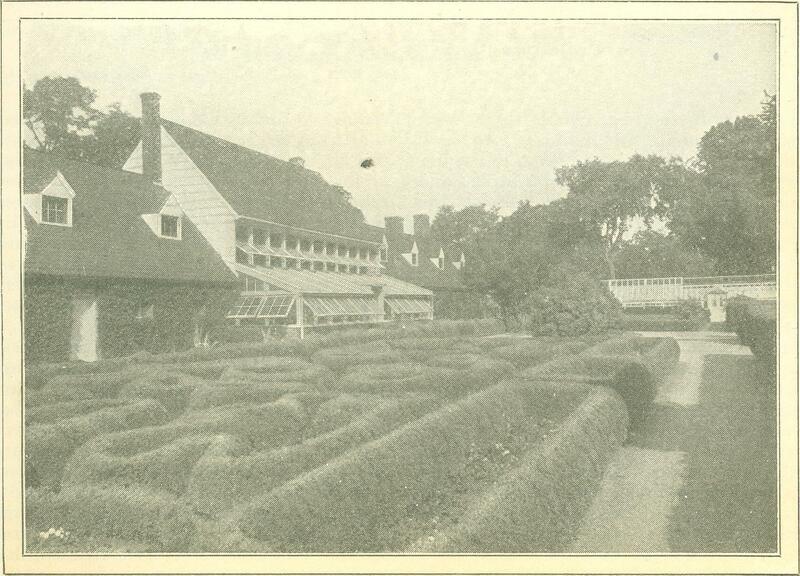 Mount Vernon was in a fiercely con­tested territory. The Union troops swarmed round it on one day, to be fol­lowed on the next by the Confederate forces. Yet through it all the unique place that Washington held in the affec­tions of his countrymen was never more fully demonstrated. The boys in blue and the boys in gray stacked arms at the gates and came in to stand with un­covered heads, side by side as brothers, before the venerated tomb. At the close of the war, and as affairs throughout the Union settled back into normal conditions, the association resumed the work of restoration. The first meeting of the Grand Council, as the regents were then called, convened in Washington in November, 1866; but the next year it began the practice, which it has continued ever since, of holding its annual sessions at Mount Vernon. In 1868, in order to give her personal super­vision to the estate, Miss Cunningham went to live in the old manor-house, and remained there until her resignation of the regency in 1873, the year before her death. Owing to lack of money, she undertook nothing beyond necessary re­pairs; but at this time opportune help came from the government. At the re­peated and earnest petition of Miss Cun­ningham and her associates, Congress appropriated seven thousand dollars to pay for the confiscated boat. The money was expended upon the mansion and grounds, and put the estate into a con­dition which enabled the association to begin to meet its running expenses. 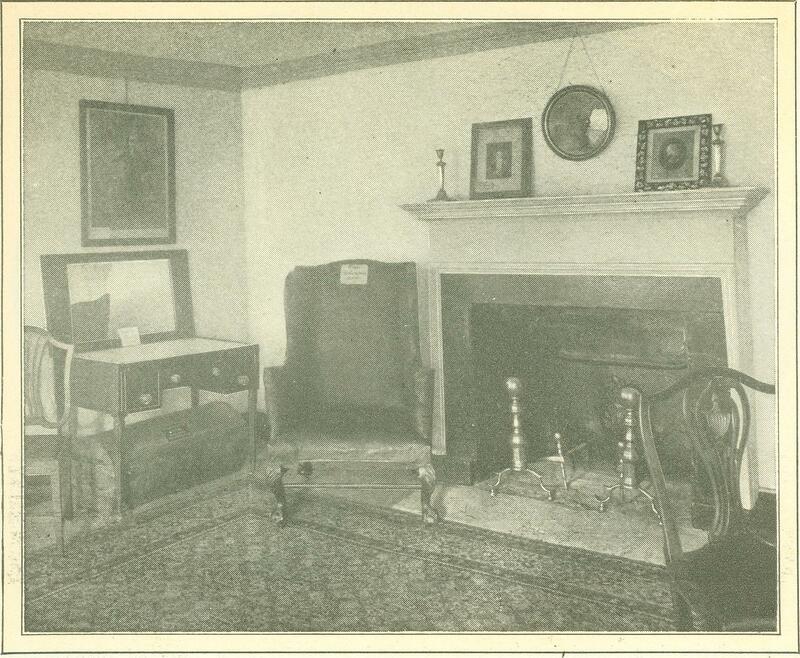 Most of the house still stood bare and empty, but in 1877 it was decided that each of the thirteen original States should select a room and refurnish it, as far as possible, as it was when Washing­ton lived there. New Jersey was the first to carry out its share of the work. 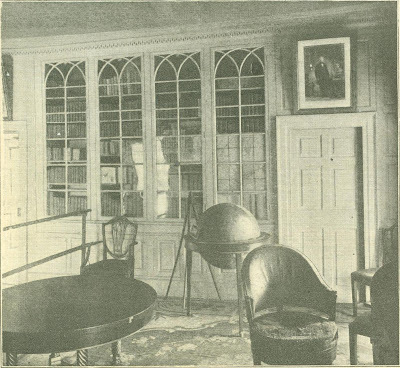 Mrs. N. W. Halstead, its second vice-regent, chose the bedroom known as the River Room, which is associated with memories of Lafayette. It was here that the marquis slept when he visited the place in October, 1824, in company with his son, George Washing­ton Lafayette ­who had been sheltered at Mount Vernon in the days when his father was an exile and a pris­oner. Mrs. Hal­stead appealed to the citizens of her State to re-equip the room. She raised more than three thousand dollars, and ex­pended it in making the apartment, in appear­ance at least, what it was when occupied by the gallant French­man. "In making these changes, sir, why do you not at least try to keep the appear­ance of the original?" In some surprise Mr. Dodge asked him to what particular change he referred. "Why, to the paving of this porch, for instance"—the long porch at the east of the mansion. When I was here before, this paving was of-brick. It was prob­ably necessary to repave it, but in doing so why was not the original material used?" "You must have been here a very great while ago, sir," quietly returned Mr. Dodge. "Well, it was some time ago, but not as long as your tone implies. It is thirty-three years since I was here." "Then, sir," replied the superinten­dent," you certainly saw this pavement, for it was laid upon the completion of the house in 1753." The old gentleman hotly protested. He knew that the pavement had been of brick, for he distinctly remembered the color. "Well, I'll agree with you on that part of the proposition," said Mr. Dodge. "The color may have been that of brick, but I think I can convince you that the material was different." Leading his interrogator to the north end of the porch, he showed him a few of the stones which were more protected from the elements. They were manifestly blocks of red sandstone. A close scrutiny soon convinced the old gentleman that time, light, and, exposure had turned the worn surface of the paving to its present faded color. Whenever it has been possible to ob­tain it, the original furniture of Mount Vernon has been returned to the rooms in which it once stood. Mr. George Washington Parke Custis Lee loaned to the association several of these historical articles, including the bedstead on which General Washington died. Mrs. Goldsborough, the vice-regent for Maryland, a granddaughter of Eliza Custis, presented an arm-chair, Mrs. Washington's dress­ing-case and mirror, and a hair-covered trunk marked with the general's name, used by him during the Revolution. All of these things, and several others which were purchased by the council, have been placed in the room in which Washington died. 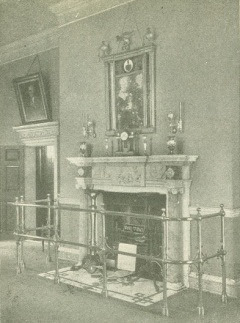 The mantel in the banqueting-hall—one of the apartments restored by New York State, and the room in which the council holds its annual sessions--is original, as are the articles upon it and the mirror and candle-stands above it. There are also two large cabinets con­taining pieces of china, plate, and bric-à-brac which once belonged to the Wash­ington family. Many of the States have had a part in bringing Mount Vernon back to its pres­ent fine condition. 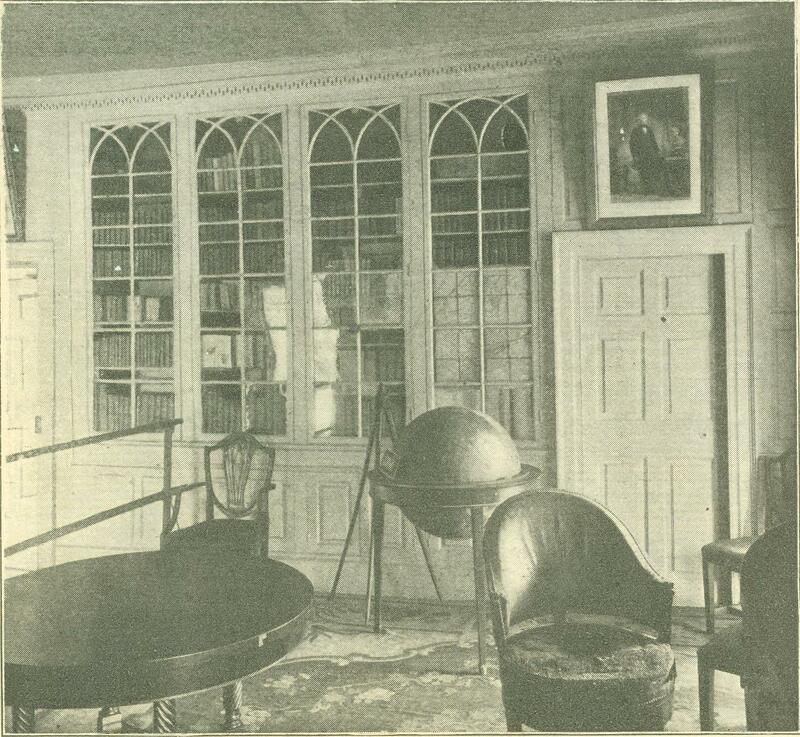 Through her vice-regent, the daughter of the poet Long­fellow, Massachusetts has returned to the library several pieces of its original furniture, and some of General Wash­ington's books are to be seen upon its in-walled shelves. The memory of Mrs. Pickens of South Carolina, who for so many years served in the council, will always be fragrant at Mount Vernon. By her unremitting labors she succeeded in making the old family dining-room an almost exact re­production of what it was a hundred and more years ago. She returned to it the exquisite Chippendale sideboard and several other original articles which are now there. After a close study of Wash­ington's papers, and with the resourceful help of Mr. Whalen, the gardener, she was enabled to restore the quaint, box-bordered garden. By the generosity of the California vice-regent, Mrs. Hearst, a substantial sea-wall and a wharf pavilion were built at a cost of more than fifteen thousand dollars. According to the constitution of the Mount Vernon Ladies' Association, each State is entitled to be represented by a vice-regent in the council. At present, thirty States are thus represented. When a vacancy occurs, the Governor of the State is invited to send in the name of some prominent woman, but it is well understood that, unless she is acceptable to all members of the council, the nominee will not be considered. In that case, the State remains unrepresented until a candidate is found who meets the approval of this highly exclusive body. When a name has been favorably passed upon by the council, the regent makes the appointment, and the new vice-regent holds the office for life or as long as she lives in the State from which she was appointed. It has become more or less of a tradition that daughters should suc­ceed their mothers, or other near rela­tives. Quite a number of the present members have this hereditary distinction. The council meets annually during the month of May at Mount Vernon, its ses­sion usually lasting about ten days. 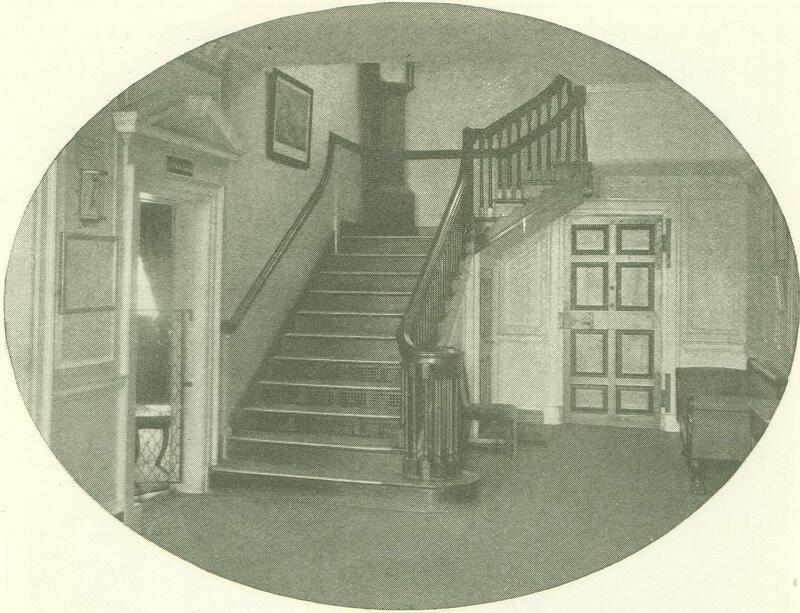 The traveling expenses of the members are met by the association, and during the session they occupy the rooms in the mansion, or in the subsidiary buildings, which their States have restored. 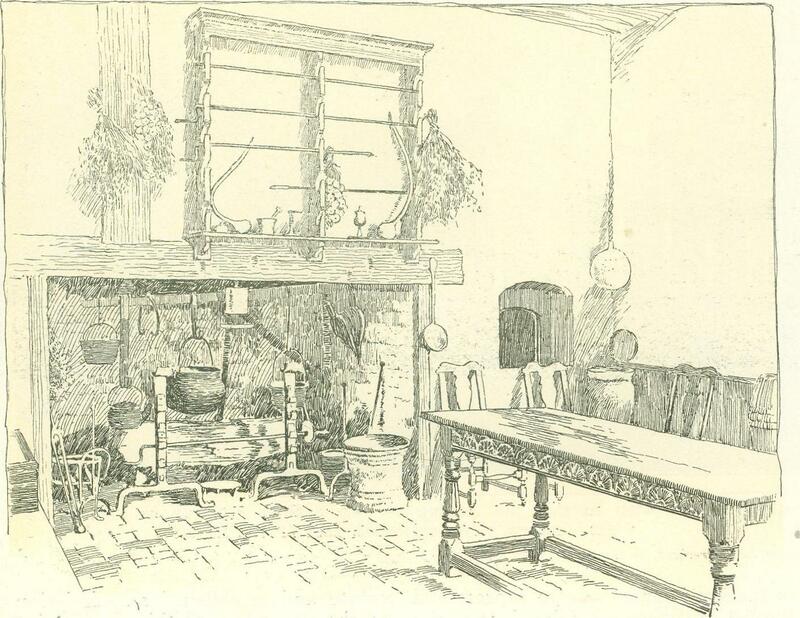 The old library, for the time being, is converted into a dining-room, a modern range is introduced into the primitive kitchen, and every provision is made for the com­fort of the visiting ladies. Sometimes the great brick oven, in which Martha Wash­ington had her famous cakes and pud­dings baked, is brought into requisition by the old colored "mammy" who lives on the estate, that she may "show de ladies dat de i'on oben hain't no shakes 'side ob a brick one!" At each session the council entertains the Governor of Virginia at a banquet, to give him an opportunity to see that the association is maintaining its part of the contract in regard to the estate. The feast, of course, is worthy of the oc­casion. 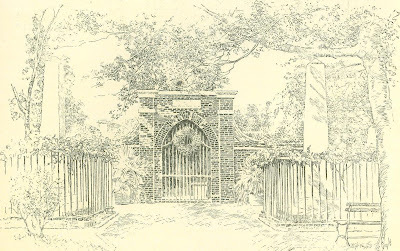 When the toasts have been drunk and the speeches made, the regent and a committee of the council accompany the Governor and his staff over the building and grounds on a tour of inspection; but it is scarcely necessary to add that there is no criticism of the way in which George Washington's beautiful old home is preserved as a shrine of patriotism and a lasting memorial of the Father of His Country. From Munsey’s Magazine – 1905.